Thank you Esther Elias for the lovely article on children's book illustrators. 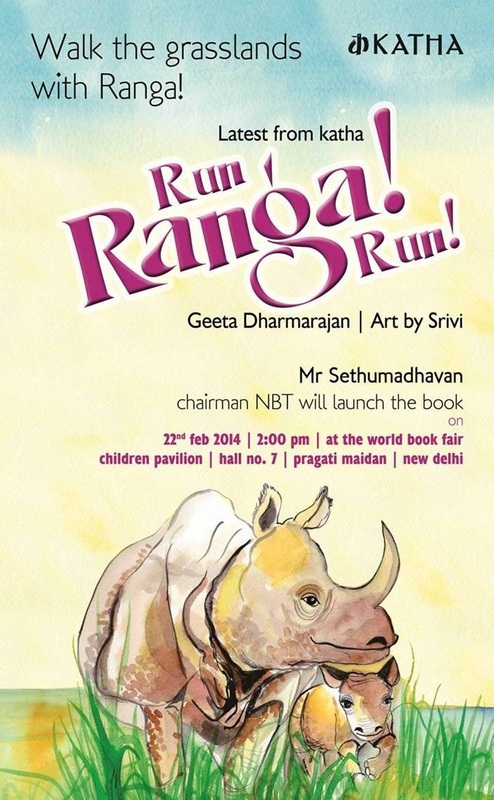 Photos from the Katha Book Launch of Run Ranga Run! 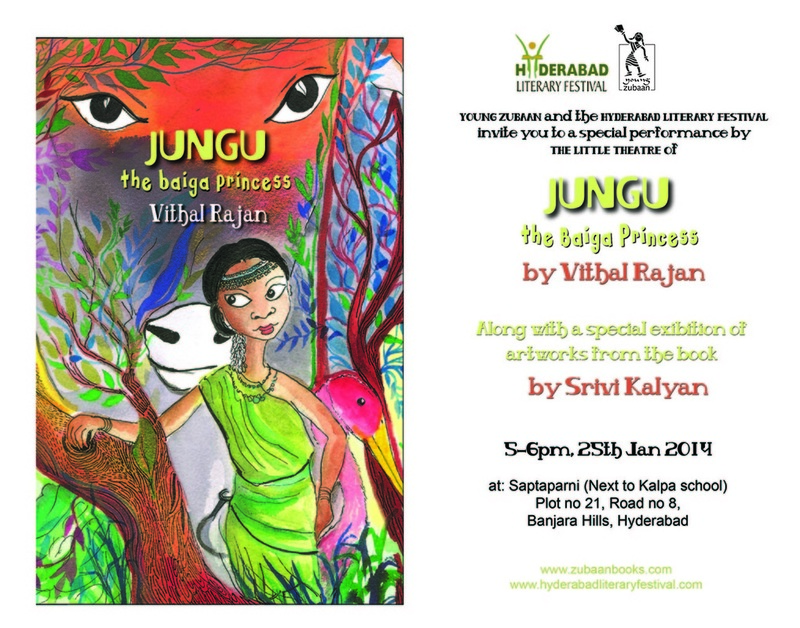 Book Launch, Exhibition of illustrations and reading by Little Theatre of Vithal Rajan's book for young adults - Jungu, the Baiga Princess. Published by Young Zubaan. 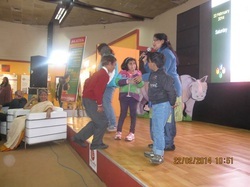 "We are especially happy about the Rhino book that we commissioned to Srivi Kalyan, the illustrator. With so many rhinos being killed, the great conservation success story is turning sour. Katha is striving to do its bit for the nation’s conservation efforts for animals on the verge of extinction. " Incredible few months! Never ending wave of work, joy, mysticism, poetry and beauty with so many genuine, sensitive people. Illustrating a beautiful story by Geeta Dharmarajan﻿ about Rhinos for Katha. In love with these gentle creatures. Each time I sketch them, I begin to share some wonderful part of their inner world. Through this year, I have worked with so many young people and adults asking them to sketch nature and I constantly find them saying how they feel closer to nature after the exercise. So many incredible classes at Kids central. The book I am working on with the eminent artist Ilango Anthiyur Venkatraman on Space, Line and Form which we hope to publish this year. 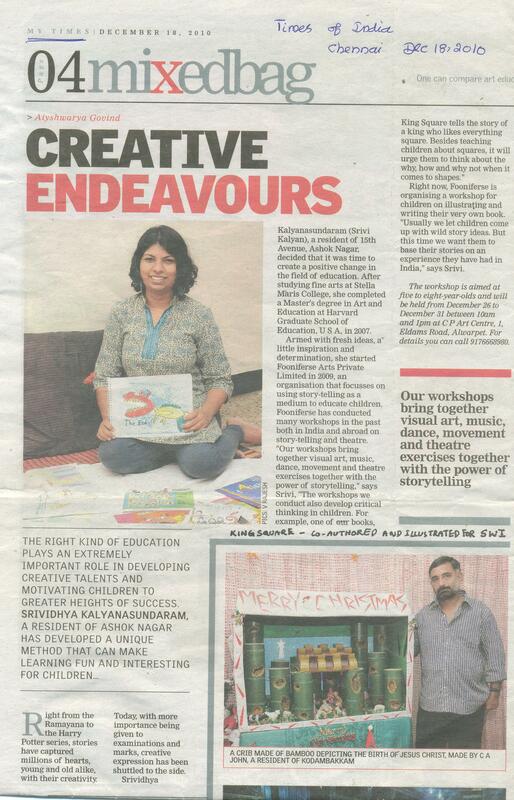 And Purni Siddarth﻿, I haven't forgotten the lovely canvases for your kids, Hoping to get to them soon. Geetha Kailasam﻿, we will definitely do a workshop in early feb.
And my plan late last year was that these would be my months of a sabbatical! And through everything the forest weaves deeper into my soul, trees entwine with my nerves and grief and joy intermingle guiding me to meaningful work. 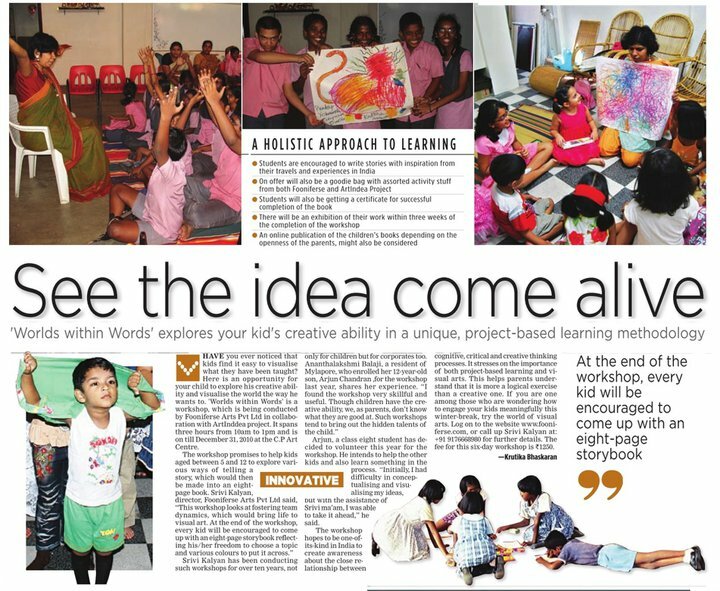 "Srivi Kalyan has numerous stories to tell about how children express themselves through art. Artist, illustrator, educator, graphic designer, writer and poet (closet dancer too! ), she has not only illustrated and written stories and textbooks for children, but also used her multifarious skills to teach children." A group of artists and Arts educators, alumni of the Arts in Education program at HGSE get together on Google Hangout for the Re- imagining Relationships Conference from around the world. Get the international perspective in this high tech conversation with arts educators from around the world. In a panel representing the Pacific Northwest of the USA, Singapore, India, and other locations around the world, arts educators will share how they have re-imagined relationships in their communities and across communities. Panelists join us from their home locations to compare practice and share stories from the field. How do we take art beyond creativity into humanity? What is human in the Humanities? How does technology help in re-imagining relationships? What does it mean to work with different cultures?, How do we transform ourselves into better beings using art? How can re-imagine relationships across diverse communities? and more such amazing questions and thoughts challenge us to delve deeper into our practice as artists and art educators. Our film featured in the online film festival at Culture unplugged! We are very happy and proud to share that our film "Connecting with Nature_Connecting with Ourselves" has been selected for the online film festival - "Green Unplugged" at Culture Unplugged. Do spread the word and share the link with others. Thanks in advance. http://www.cultureunplugged.com/documentary/watch-online/play/12997/Connecting-with-Nature-Connecting-with-Ourselves - Do visit and share your thoughts. Those of you know Chinese, hope you enjoy reading! Here's the English version of the interview ! From Mary Tamer's Article, "Hardly Child's Play", A version of this article originally appeared in the Fall 2007 issue of Ed., the magazine of the Harvard Graduate School of Education. 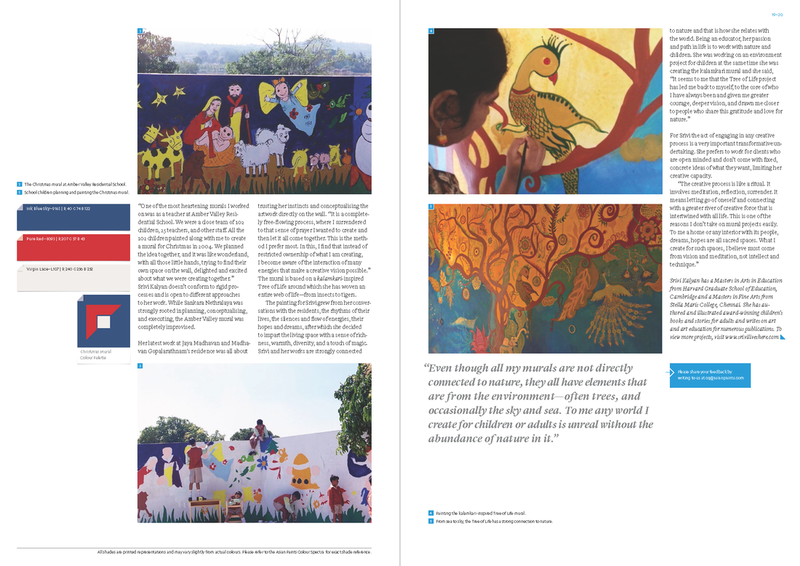 "On the international front, recent graduate Srisrividhiya “Srivi” Kalyanasundaram, Ed.M.’07, already a published author in her native India, plans to take lessons learned in the Ed School’s Arts in Education Program to produce “culturally relevant books” for her country. Kalyanasundaram will soon find out. This summer she returned home to become creative director with Galli Galli Sim Sim, India’s version of Sesame Street." Her e-book can be downloaded at Oxford Bookstore or here. A simple and elegant style of writing and eloquent charcoal illustrations in a folksy style are highlights of the novel." "Illustrations by Srivi are beautiful and modernistic. 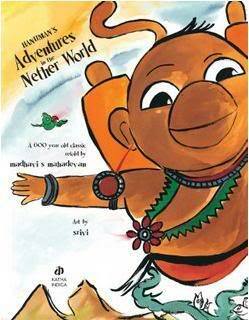 The drawings of Hanuman resemble that of a child, probably in order to hold the interest of young readers. 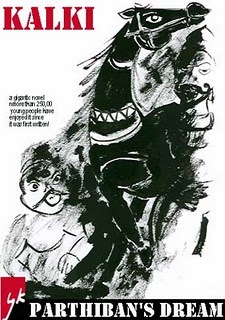 The expressive illustrations are the plus point of the book." The illustrations in the book are done in bright colours, mainly bold pastels. The gaiety and festivity held during the course of the story, are well depicted through the illustrations, along with the costumes and jewellery of the north east Indian community."